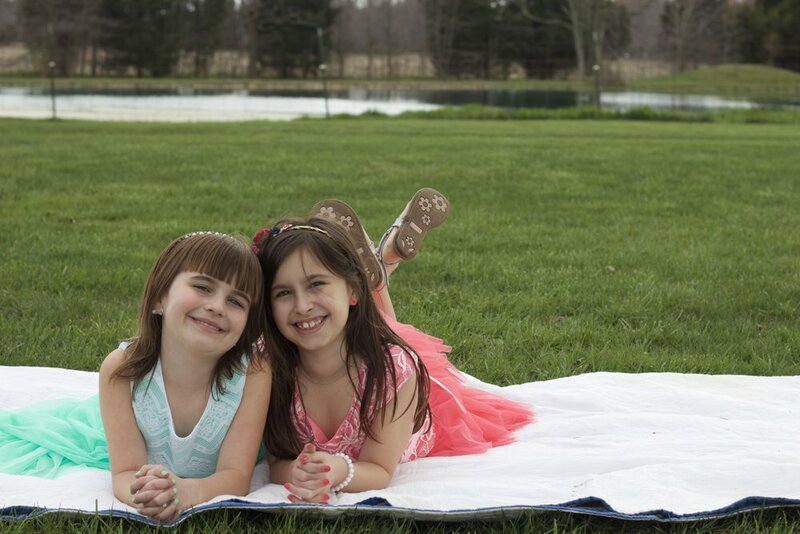 Ava and Claire are my cousins. They are the twins on my dad's side. 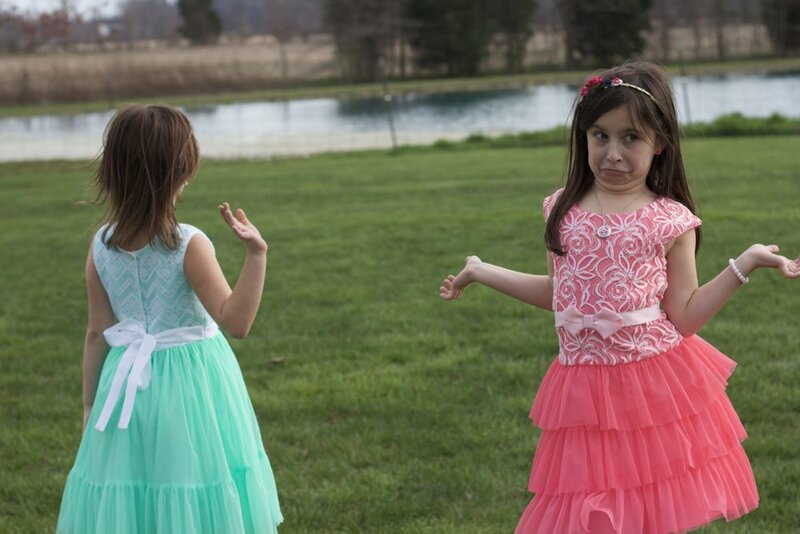 I also have twin cousins on my mom's side, and I gained twin cousins by marrying my husband! I think it's so awesome that I am related to so many sets of twins! Twins are so cool. They share a bond with one person, a bond that I will never get to experience with anyone. 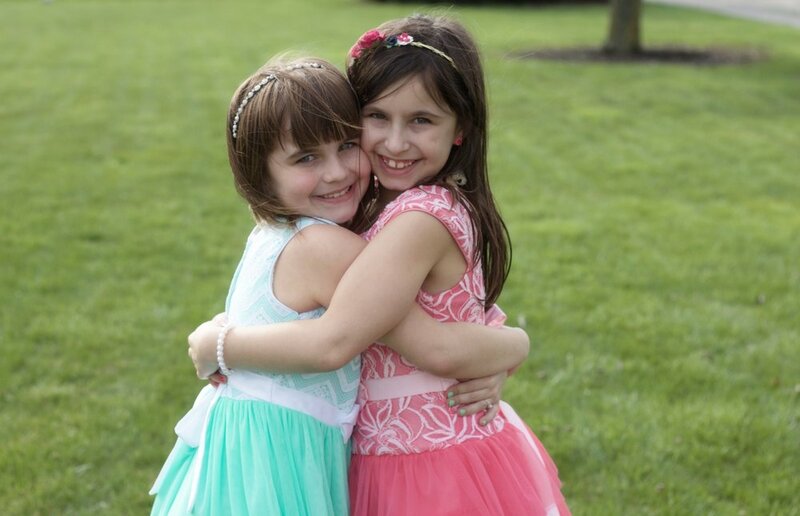 Ava and Claire are two of the sweetest, funniest, and prettiest girls I know. They are so helpful and thoughtful, they've always got either a smile or a silly face going on, and they both have very big dreams. 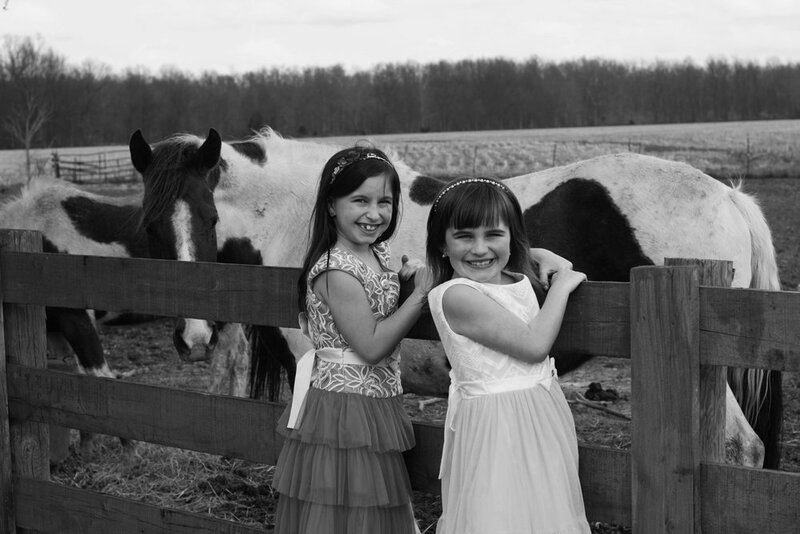 I have loved watching them grow up and I can't wait to see how bright their futures will be. 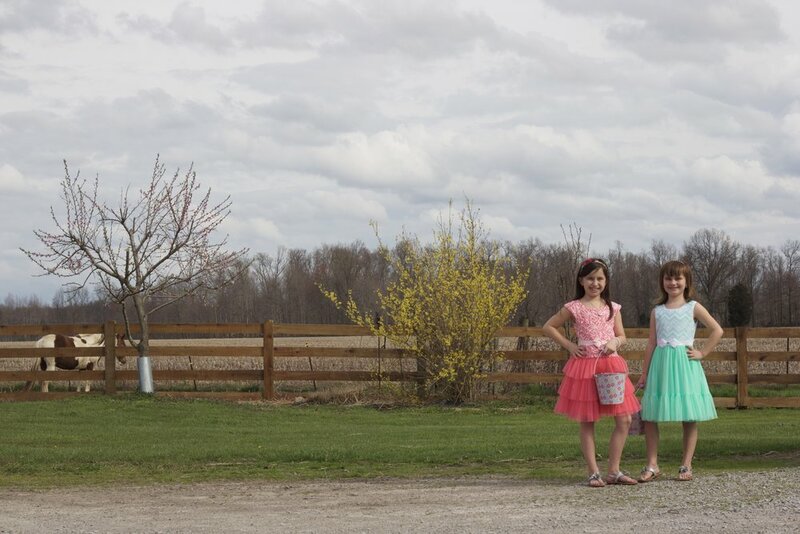 I really enjoyed taking their pictures on Easter Sunday in their fabulous Easter dresses, and I hope you all enjoy them, too!